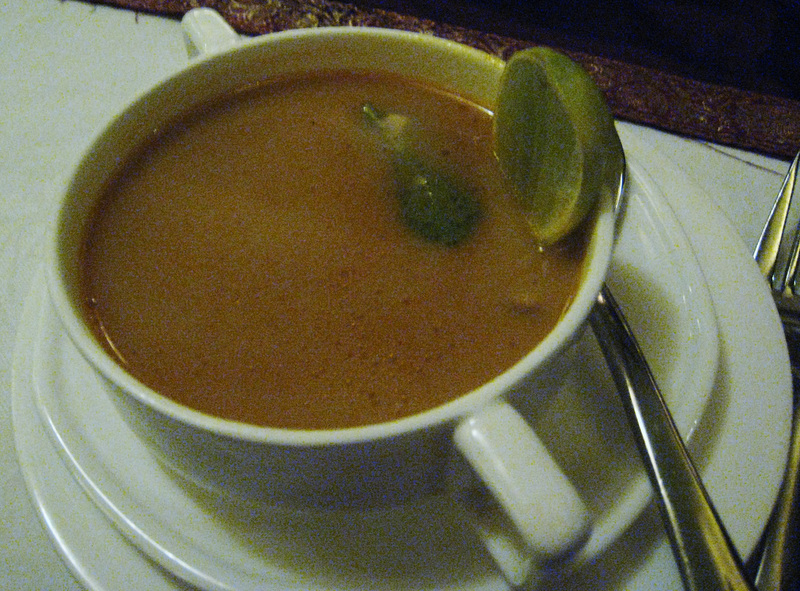 A traditional secret to heat and energy, the Lamb Paya soup has some very interesting history associated to it. A real royal dish, this hot soup is generally given to the elderly or children for extra energy and strength. Put lamb trotters, minced garlic, ginger and onions in a pressure cooker. Also add a large pinch of salt and all spices other than Garam Masala. Mix well and cook for 5 minutes. Then pour in 4 cups of water, stir and close the lid of pressure cooker. Place the cooker on high heat and let it come to a whistle. As soon as it whistles, lower the heat and simmer for 20 minutes. Then turn off the flame. Release all the steam from the pressure cooker by lifting its whistle with a spoon and then carefully open its lid. Turn on the flame again to low and add in the chopped tomatoes. Stir and cook further for 15 minutes or until the tomatoes almost get dissolved. Add the ghee, stir well to combine and cook for 4 – 5 minutes. Then pour in the remaining 6 cups water, stir, increase the heat to high again and close the lid. When it whistles lower the heat and cook further for 30 minutes. Turn off the flame and let the steam escape. Then carefully open the lid and check the seasonings. Adjust if required. Now add Garam Masala and mint leaves, stir. Ladle the soup into serving cups or bowls and serve steaming. Tip: You may serve the soup with meat on bones accompanying Indian breads or steamed rice as a complete meal.